Lockbox payments are a payment process that can bring real benefits to businesses. Here's how it works. Simply put, lockboxes allow organizations to streamline receipts. When customers and business partners write you a check, you need to get those payments into the bank as soon as possible so that you can use the money. Lockbox services arguably make that process more efficient than almost any business can hope for on its own. There are a variety of lockbox services available. 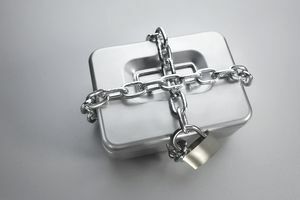 They include wholesale lockboxes, retail lockboxes, and other, custom-designed lockbox programs. Which one you choose depends on your unique needs. Clearly, if the standard lockboxes don't quite meet your needs, the custom-designed option would be the one to choose. The main reason to consider lockbox services is speed and efficiency. Lockbox services get money into your bank account faster than you’d be able to do it yourself. Perhaps you could run to the bank every time you got a check, but you wouldn’t be able to get much work done. Note that these lockboxes may be located in places where the mail is delivered several times per day. Your offices probably only receive mail once each day. If a payment just misses delivery to your location, you’ll have to wait one business day to get your hands on the payment. In contrast, lockboxes offer more opportunities to capture payments and make deposits to your account. Perhaps most importantly, you reduce the amount of time it takes for money to hit your accounts. You have less outstanding “float” money out there – customer payments get deposited and become available for use as quickly as possible. This can help you maximize all of the money that's available to you. After all, the business days you spend waiting for money to become available can add up over time. Some banks offer image-based lockbox services. Image-based services scan everything that gets sent to your lockbox so that you can view it online. You can often see images from payments received on the same day that they reached the lockbox. As you might imagine, the ability to see the actual checks and envelopes that your customers send is priceless. You can respond to customer service inquiries, and you can resolve problems much more easily. This allows you to run a much more efficient business. By using automation, banks can make your accounts receivable easier to manage. Optical Character Recognition (OCR) programs literally “read” everything and store the output electronically. This allows you to slice and dice your remittance data and scroll through lists of customer information. In addition, having computers do the tedious work means that you’ll have less data entry errors – when the computers aren’t broken, of course. And if you make good use of computer maintenance programs, why would they be? Overall lockbox payments save you time, help you manage your business more effectively and improve customer service. They're a win-win tool.